Save the date: 4 x 6" | 5.5 x 5.5"
Invitations: 5 x 7" | 6 x 8.25"
and RSVP cards: 3.5 x 5" | 4.25 x 6"
Programs (booklet): folded 4 x 6"
Our handmade paper is made of cotton pulp and linen, made in Italy and the U.S. by talented artisans. It is of a high and most delicate, luxurious quality. 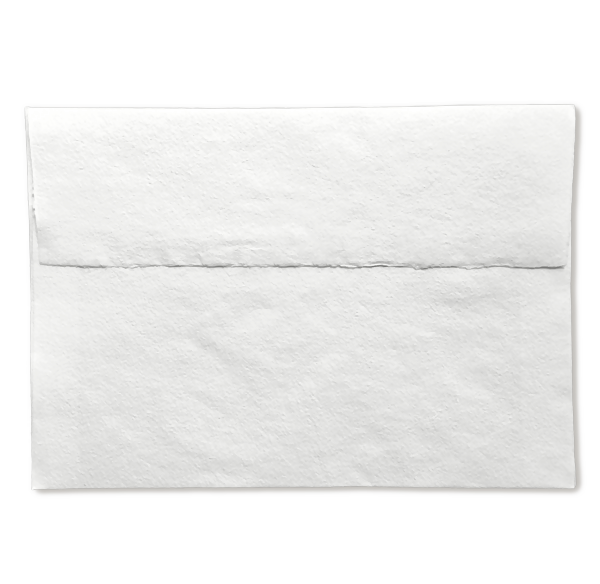 The deckled edges and the unique texture is result of a manually and complex process that dates back to the centenary art of papermaking, each sheet and envelope done by hand on an individual screen. This is the option for the bride who seeks the organic and delicate stationery style, the essence of Ivory Calligraphy. 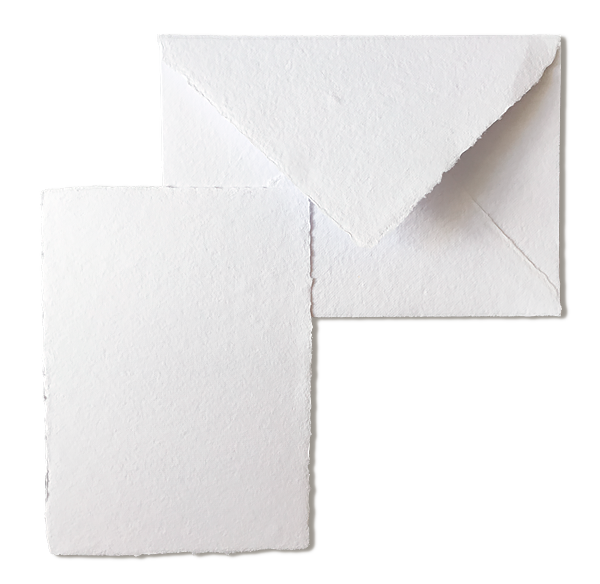 Note: The paper is handmade, so slight variations of color, texture and small inflections might appear throughout the sheets. However we truly believe that's why they're so beautiful and unique. Available colors: White, Ivory, Light gray, Dark gray, Blue, Sage, Lilac & Baby pink. ** We are unable to offer foil print on this paper at the moment.